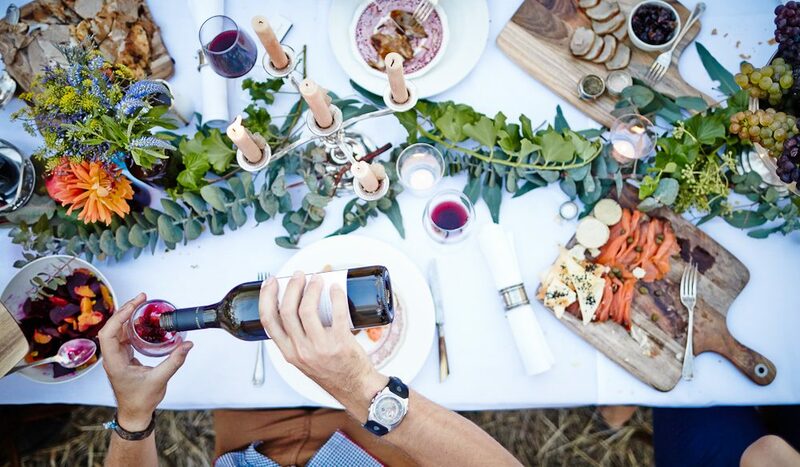 Long table fine dining on the banks of Lake Moodemere with Stanton & Killeen Wines. Rutherglen is a wine region with a difference, where a new generation of winemakers are mastering unusual varieties at old school vineyards that have been in families for decades. It’s a balmy late summer’s day when we arrive at Scion Vineyard & Winery. A little rock ’n’ roll music drifts up from the asymmetric corrugated-iron cellar door and just-picked durif is fermenting in the winery vats. Scion is a perfect name for this plucky little vineyard planted on undulating quartz-laden red clay on the outskirts of the town of Rutherglen. It has two meanings: the descendant of a notable family (lanky 30-something Rowly Milhinch is the great-great-great grandson of GF Morris, founder of Rutherglen’s famous wine family) and the grafting of something new from existing root stock. Most of us associate Rutherglen with old school wineries that stick with those glorious unctuous sticky wines such as port, muscat and the wine formerly known as tokay (now topaque) as well as bold red durif and shiraz table wines. But there’s a whole new spirit blowing through this heritage Victorian wine region where sixth and seventh generation winemakers are not just tweaking the classics but also coming up with innovative new wine styles that are turning heads. Take Scion’s rosé. It is made with durif, which is generally blacker than the ace of spades but Rowly pours us the palest rosé, reminiscent of the very best Provençale style. I’m already ordering some as my go-to, oh-so-Frenchy summer apéritif wine before he shows us his viognier, its terrific texture a perfect match for Asian food, and his After Dark, a semi-sweet lightly fortified durif that is served chilled with dark chocolate or hard cheese. I’ve just begun my Rutherglen adventure and I’m raring for more. 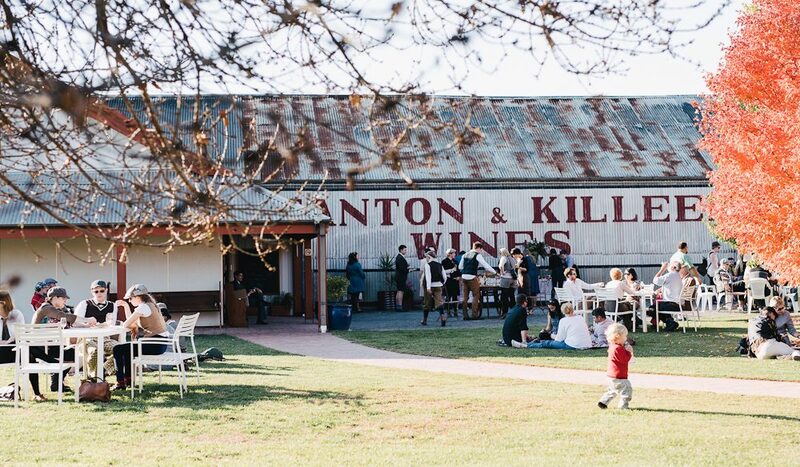 “Most of Rutherglen’s wineries are still family-owned, which makes our region unique,” says Eliza Brown, CEO of All Saints Estate and St Leonards vineyard. Brown and her two siblings, Angela and Nicholas, took over the two properties when their father, Peter, died tragically 10 years ago in a motorcycle accident. The family has wine running in their veins as they’re part of the same Brown family of Milawa fame. The estate has a proud pedigree due, in part, to its turreted Scottish castle built by its original owners, the Sutherland Smiths. “We like to work with what we’ve inherited. Everything we do is a mix of old and new,” says Eliza. That is certainly evident when we dine at the Terrace Restaurant overlooking All Saints’ superb grounds. We sample two very different styles of marsanne, which Eliza explains “come from a beaut old block planted in 1959. One is a tank-made blend that is really fresh and delicious, the other is a traditional Rhône-style, aged in French oak”. 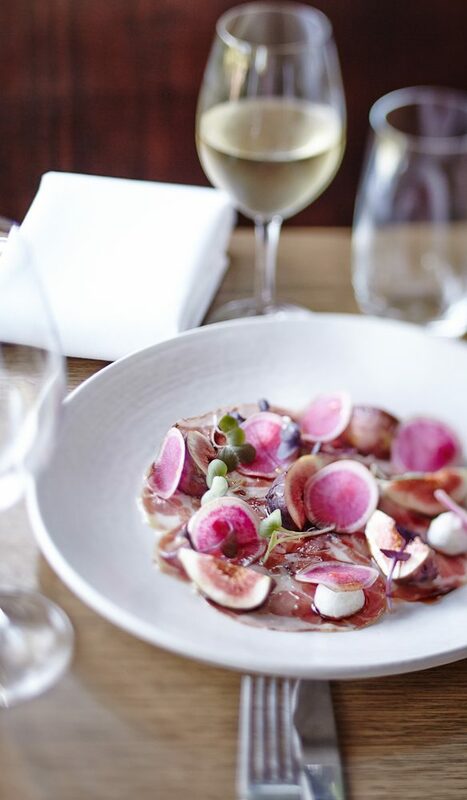 Chef Simon Arkless’s cuisine is also inspired, especially his cured meats, such as wagyu bresaola with baby artichokes and crumbed, smoked mozzarella. At Stanton & Killeen, we meet Natasha Killeen in her hot pink rubber boots as she is plunging over just-picked shiraz from their 96-year-old vineyard. Australia’s Prince of Port, her late father, Chris, created the winery’s renowned port from a range of Portuguese varieties such as tinto cão and touriga nacional, which suit Rutherglen’s hot, dry climate. If their gold-medal-winning Prince Reserva is anything to go by, they’re onto something. But they’re not forgetting their roots, either. 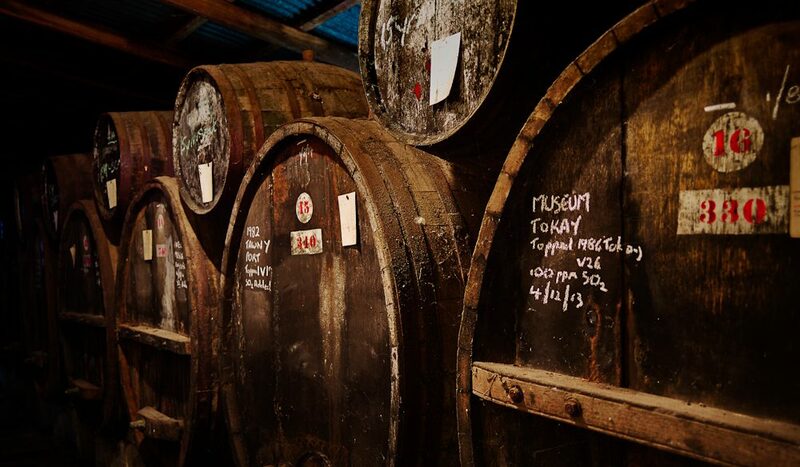 One of their most popular products is seasoned small personal kegs filled with base fortified wines that people can top up to make their own blends. “My generation doesn’t think that fortifieds are daggy and find it really cool to mature their own stuff,” she says. Each winemaker we visit has a fascinating story to tell. Mandy Jones shows us her Bordeaux-style wine made from dry-grown grapes that were first planted by her grandfather in the 1920s. We enjoy a tasting in her rustic cellar door built into the original bark-lined barn and enjoy inspired French country fare in the cafe. With family roots in the region and French training both in winemaking and cooking, Jones explains her goal is to create wines that evoke a sense of place. At pretty Sunday Creek, we gaze down at terrapin turtles from the 100-year-old bridge at Pfeiffer Wines before meeting the Pfeiffer family who bought the old Seppelt Distillery 35 years ago. Daughter Jen is now the chief winemaker, but she loves being part of a father-daughter winemaking team with dad Chris. “The energy of youth and the experience of age… that synergy can really make great wines,” she laughs. And what’s new on the horizon? A vineyard platter at Cofield Wine’s Pickled Sisters Cafe washes down perfectly with Damien Cofield’s sparkling shiraz. He takes us into the winery to show us the superb fruit from the 2016 vintage. We taste crimson, week-old shiraz and durif right out of the fermenting vats. It’s like cuddling a beautiful newborn baby. The family stories run deep. Historic Buller Wines, established in the 1920s and renowned worldwide for their fortified wines, now have new family owners, the Judds from Albury, who are pouring lots of money into the vineyards and winery. Winemaker David Whyte is revamping the wines to be more food friendly and their old-vine, dry-grown Calliope Shiraz is as superb as their multi-award-winning aged muscat. 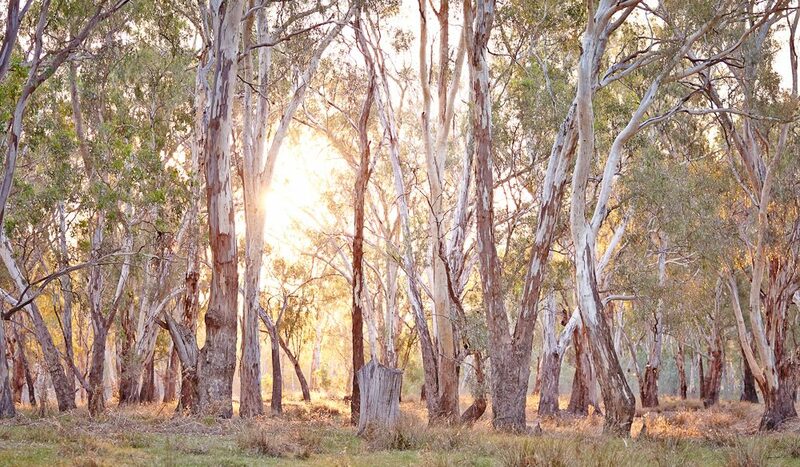 Sixth generation Michael and Belinda Chambers greet us as dusk falls at Lake Moodemere Estate, which overlooks sublime wetlands and river-red-gum forest. 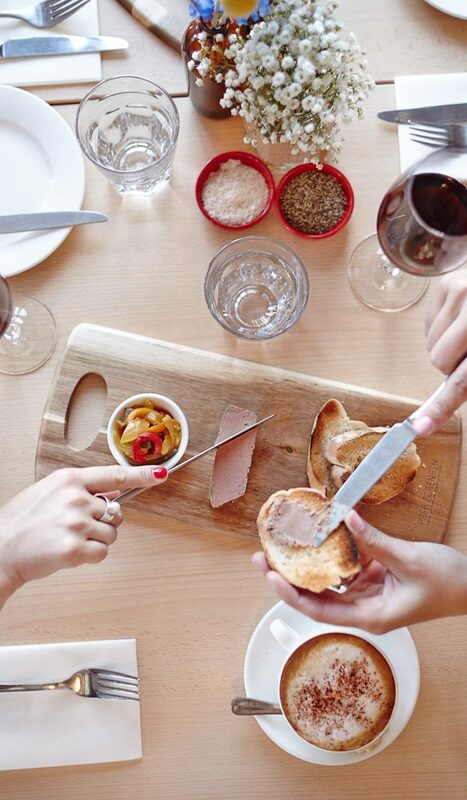 We enjoy Belinda’s platter of homemade lamb paté, chutneys, cheeses and olives alongside their estate-grown shiraz-cinsault and an unusual late harvest Italian varietal, biancone. Michael tells us he grew up on this property and owes all his winemaking knowledge to his Uncle Bill of Rutherglen’s iconic Chambers Rosewood Winery. Our last visit is to Rutherglen Estates, which might be considered the odd winery out given its purchase by Chinese investors. Winemaker Marc Scalzo assures us he has complete freedom to develop wines for the Australian market and the added investment is doing wonders for the likes of their iconic durif. He is also innovating with the best of them. His multi-award-winning, pale rosé, semi-fortified muscat BdV (Beaumes de Venise AOC) is revelatory, all Turkish-delight-in-a-bottle and a perfect bookend to our first discovery, Scion’s delicate rosé. From fortified aperitifs to ageing your own ports, from sparkling shiraz to food-friendly viognier, Rutherglen’s next generation of winemakers is certainly mixing it up. You can be sure, however, that each new offering will have its roots in a very special place. Eating there: 1000 Pound adds a sleek urban vibe to Rutherglen’s Main Street. Owned by the All Saints Estate family, the wine bar and store offers a relaxed venue featuring distinctive wines from vineyards in Rutherglen and around the world. The menu specialises in local charcoal-grilled meats. 82 Main Street. Taste@Rutherglen has something for everyone: casual wood-fired pizzas, serious gourmet offerings, great local wines and now its very own beers, made right out back. There’s live music on the covered terrace on Saturday nights, too. 121B Main Street. Getting there: Rutherglen (near the NSW border) is 300 kilometres from Melbourne and three hours’ drive by car along the Hume Highway. Staying there: Circa 1936 is a real find. This brand-new exquisite boutique hotel with spacious, luxe rooms, old-fashioned attentive service, great food and the best spa this side of Bali, is located in Corowa, 10 minutes’ drive from Rutherglen. 145 Sanger Street, Corowa.